Refer to Kincaid & Lunch is On Us! That’s right – when you tell people about Kincaid Insurance, you earn perks. If you love Kincaid Insurance and want to tell your friends or family about our services, please fill out the form on this page. 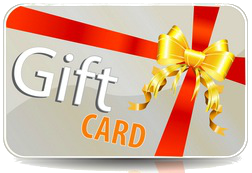 If your referral requests a quote from us, you will receive a gift card for a free lunch. Have 10 referrals? Submit the form 10 times and you could receive 10 gift cards! The best part about referring Kincaid is that your friends or family will be getting a great deal on insurance. Kincaid Insurance is an insurance broker, so we can shop for the absolute best price on homeowners, auto, liability, business, and other coverages. To qualify for the free lunch, simply fill out the form to the right. Upon receiving your request, we will follow up with the person you referred us to. If we quote their insurance needs, we will send you the gift card in the mail.